November 7, 2017, Yorba Linda, CA--Today Global Specialties introduces two new mini breadboard kits ideal for prototyping small projects at home or in the classroom. 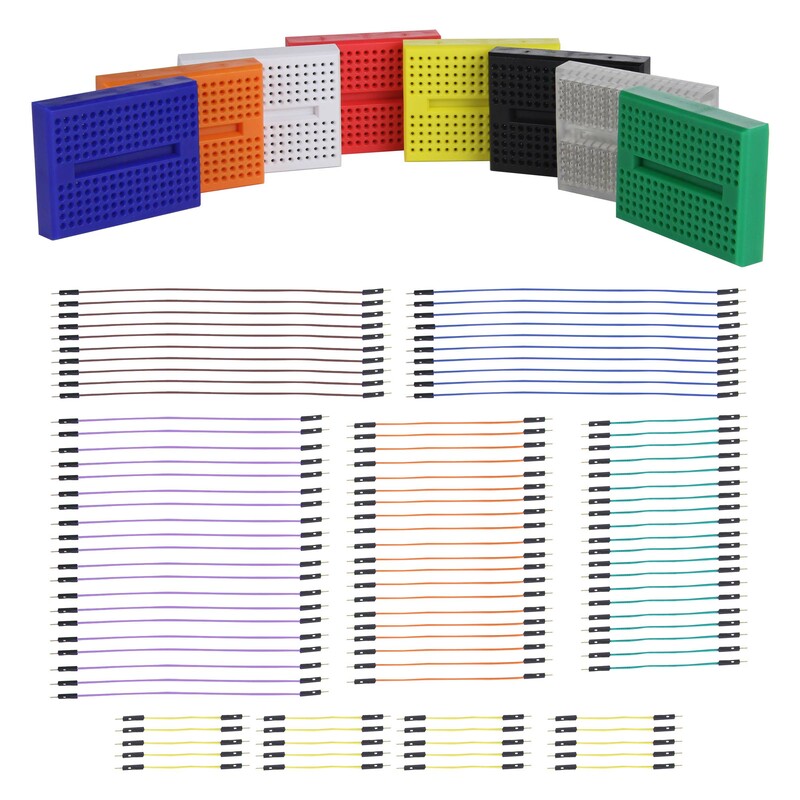 The GS-170K1 comes with 108 pieces, including a set of 8 mini breadboards (GS-170-A) and a 100 pc jumper wire kit (WK-5). 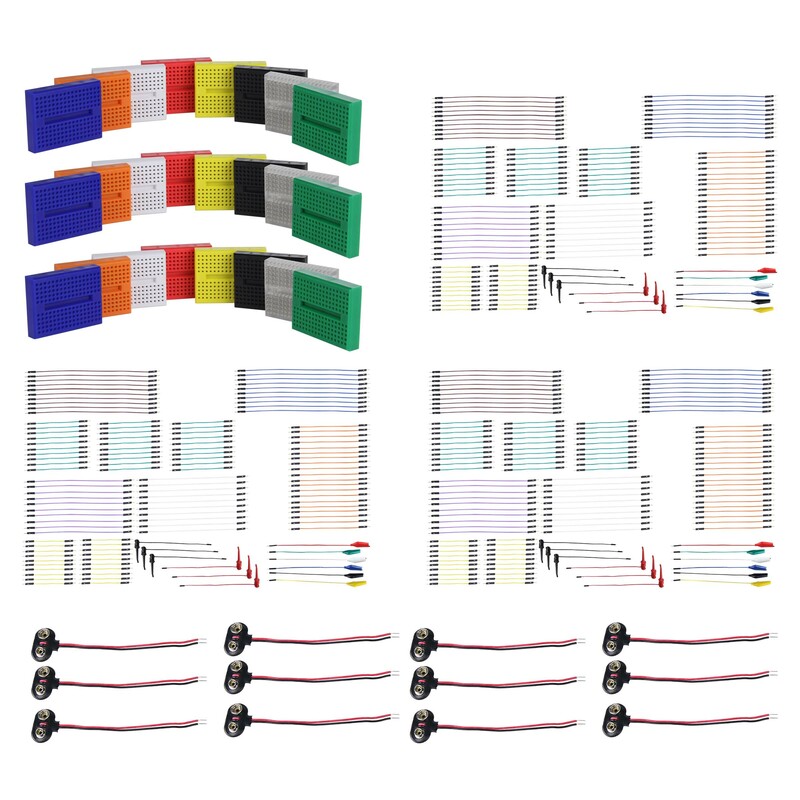 The GS-170K2 comes with 372 pieces, including 3 sets of the 8 mini breadboards (GS-170-A), 3 sets of a 112 pc jumper wire kit (WK-6), and 12 individual 9 V battery snaps. Both kits come with #24 gauge, insulated, stranded copper wire. Each wire comes with gold-plated brass, pressed-pins on each end to allow for extended insertion life and maximum surface contact. Both are RoHS compliant. MSRP of $55.00 for the GS-170K1 and $195.00 for the GS-170K2. They are both available immediately. Since 1973, Global Specialties has been the recognized leader in innovative electronics training solutions for education and industry. Global Specialties' prototyping and trainer systems set the worldwide standard for reliability, durability and long life, designed to take the sustained use of educational, research and product testing environments. A leader in the development of integrated teaching systems, Global Specialties offers completely packaged courses including everything required for effective instruction. Global Specialties' products are available from electronics distributors worldwide.